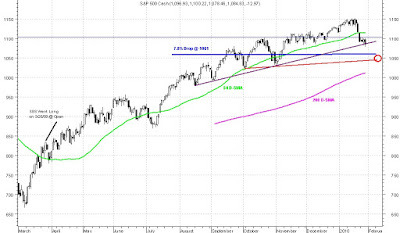 Looks to me SPX is in a consolidation pattern and is about to take another leg down to lower 1050's / higher 1040's. My plan is to buy into indices and 10 RTS Divedend Long Portfolio at SPX 1051. If SGS goes short (it's marching that way now), I will close all long positions including RTS 20090326 Long Portfolio. I will then open 10 new short positions.